KLAIRS “Rich Moist Soothing Serum”. Do you often feel like your skin is not hydrated enough? Struggling with irritated and hard-to-calm skin? 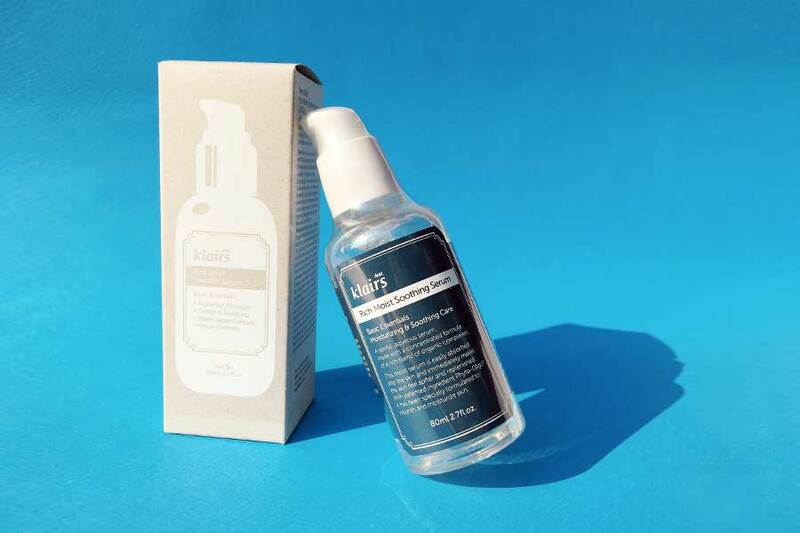 Klairs Rich Moist Soothing Serum can be the right answer for such skin concerns. 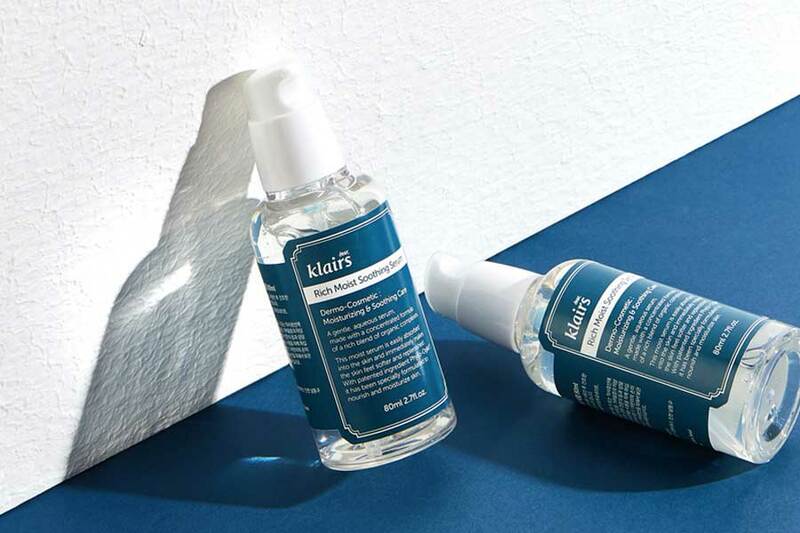 For its efficency, this Soothing Serum is one of the most reckon Klairs’ products. It is the perfect solution to hydrate and soothe even the most sensitive skin. Hydration is a key concept of skincare. 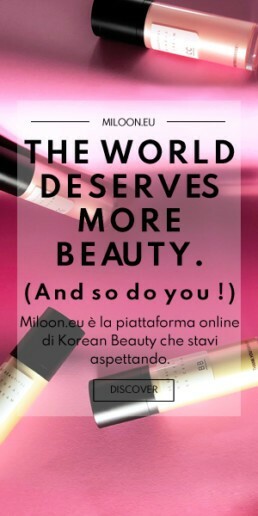 In particular, skin’s hydration level is also the key factor for long lasting, flawless make up. This high-concentration serum just hit the spot. It delivers the right amount of moisture that will make the skin softer and replenished. Serum has a clear and thin gelly texture by nature. Its lightweight consistence allows it to get absorbed by the skin in a ore quick and efficient way, not leaving you with any sticky or oily feeling. As this lowers the temperature of the surface, it hydrates the skin. Its specific composition makes possible for this serum to penetrate the skin more deeply. This allow to deliver all the calming & cooling effect the skin needs. Klairs Rich Moist Soothing Serum contains plenty of beneficial plant extracts and amino acid. The fast-action serum ingredients are so made possible to target specific functions. As showed by its name, it promises to boost levels in three distinct areas : Skin richness, Moisture, Soothing. It is also free from harsh chemicals components. 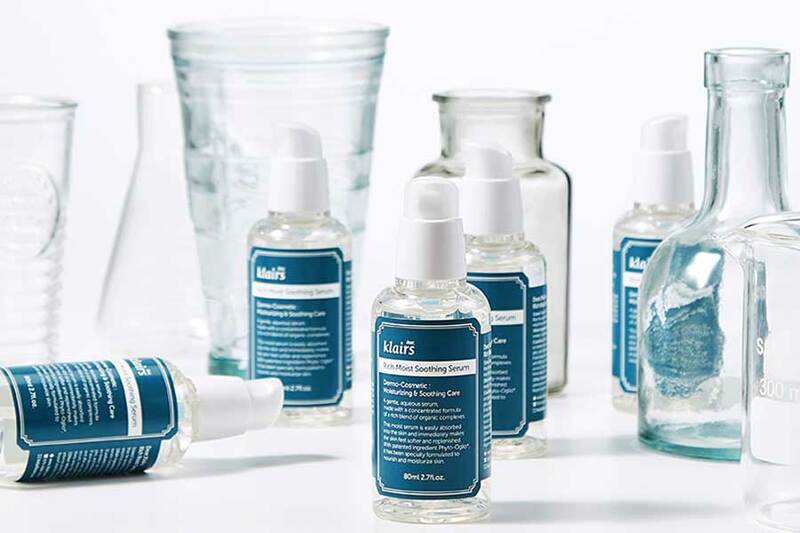 As it excludes alcohol or any other potential acne trigger, this serum is suitable for all types of skin. As many other products by Klairs, Rich Moist Soothing Serum is also vegan-friendly and cruelty-free certified. This mean that no harmful animal testing is involved, as well as animal-derived ingredients. Amnio acids are great at keeping the skin moisturized and nourishes stressed skin. Promoting skin’s healing and detoxing they also relieve irritations. It stimulates collagen production while speeding up wounds healing. It also helps to target anti-aging and anti-wrinkle effect. It helps to preserve skin elasticity and protects against damages caused by free radicals. As it removes toxins from body, it also give skin a supple and well-toned look. This acid can penetrate to the deepest skin layers. This helps to moisturize while getting rid of the old skin cells through exfoliation. Moreover it locks in moisture and helps increasing the production of natural moisturizing factors. Apply after cleansing, toner and essence ( if included in your skincare routine). Apply about 3-4 pumps of soothing serum on the whole face area. Helping with your hands, pat serum into the skin to foster absorption by the skin. Once absorbed, apply a layer of moisturizer to the whole face. To sum up Klairs “Rich Moist Soothing Serum” is the perfect product to make your skin hydrated, radiant and glowing throughout the day. Use it with confidence. Completely made by natural ingredients, this product is suitable for any skin type. Give it a try today. Do not prevent your skin from standing out.